This EY assessment centre guide includes practice tests, coaching videos and dozens of top tips, tricks and insider-secrets for success at the EY assessment centre. Let’s get started! 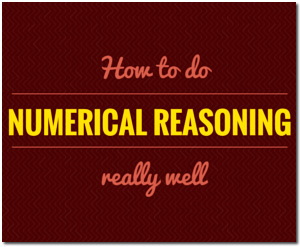 You can practice the Ernst & Young aptitude tests here (numerical, verbal & diagrammatic reasoning). What will I learn in this EY assessment centre guide? This guide will take you through each aspect of the EY Assessment Centre process; one the toughest corporate recruitment events of all. We’ll look at what to expect and how to succeed, step-by-step, in this notoriously challenging event. Before we discuss the EY assessment centre, it’s important that you see everything we’ll discuss here in context. Let’s zoom out and look at the bigger picture. 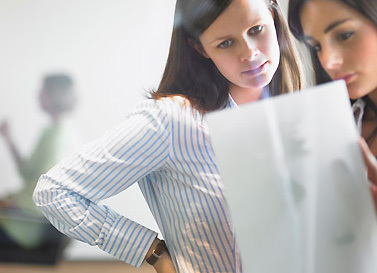 What are EY looking for in their employees? 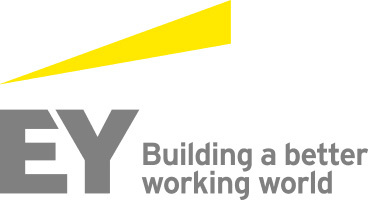 Ernst and Young place a larger-than-normal emphasis on their company’s core values. They want to hire people that closely mirror those values. Set aside an entire day to research Ernst and Young. Your brief is simple. Spend a few hours reviewing Ernst & Young’s latest annual report. 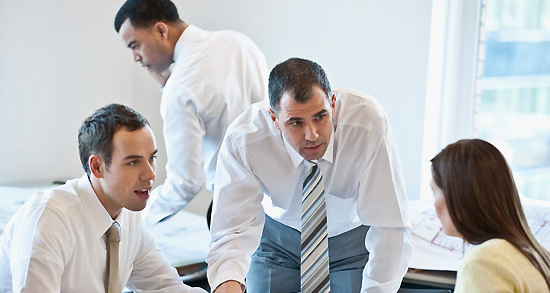 Understand their current business challenges. Where are they headed? Is their business growing or shrinking? And in which sectors, services, territories? What do they want to achieve? Ok, as we move on to look at the EY assessment centre we wanted to put something squarely on your radar; the all-conquering importance of preparation. We often get emails from people asking for help. They want to know the ‘short cuts’ to success at their respective interview or assessment centre. But honestly, there are none. It’s boring, we know, but the ‘secret’ to success at assessment centres is simply lots and lots of preparation. You cannot over-prepare. Every minute you spend preparing will pay you back richly at the EY assessment centre. Successful candidates are always better prepared than unsuccessful ones. That’s a simple fact. 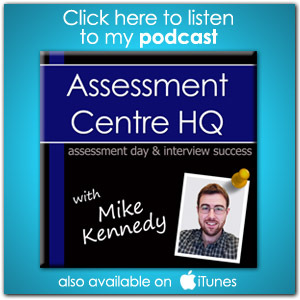 So how can you prepare for your EY assessment centre? You should practice the EY aptitude tests like a demon. IMPORTANT POINT: Different employers use different test suppliers. This is very important when you’re taking practice tests as the style, content and format differs from one test supplier to another. Ernst & Young use Saville as their test provider and you can practise the Ernst & Young Saville tests here. You should read our article “How To Prepare For Your Interview or Assessment Centre” – It will be a treasure trove for you in preparing for the EY assessment centre. As already mentioned, get a copy of the Ernst and Young annual report. Lastly, phone the hiring manager for your role. Do some LinkedIn stalking. Phone the EY switchboard. Go guerrilla. Identify and then phone the hiring manager. Explain to the hiring manager that you want to better understand the role and the short AND long term aims of the team and the company. Hardly anyone will do this. (In this Email Age, a personal phone call is far too scary.) But skip this step at your peril, as this is an incredibly powerful way to firmly establish yourself in the hiring managers mind and it marks you out from the competition. Approaching the hiring manager in this way shows initiative, drive and -when you think about it- simple intelligence. Why wouldn’t you want to speak to the hiring manager before seeking a role on his/her team? Ok, there’s plenty of solid preparation steps for you to follow there. Let’s get into the detail of the EY assessment centre itself. For most people the EY assessment centre is the 7th step in the Ernst and Young recruitment process. Well done! Only 10% pass through the initial interview stage, so feel proud and celebrate your achievements so far. What should you expect on the day? Let’s break each one of these EY assessment centre elements down and look at them in more detail. You will be given 40 minutes to compile two reports, based on an information pack that you will need to analyse carefully, but quickly. 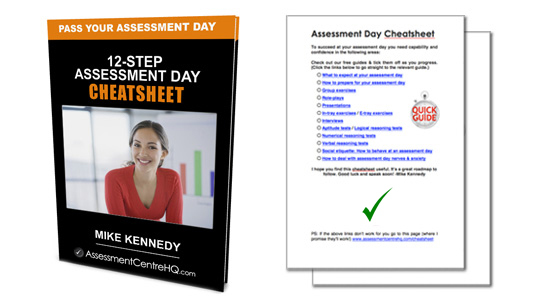 This first report will test your communication and writing skills, your analytical judgement and your business acumen. Understanding ‘commerciality’ is important here. (It’s important in everything EY do, actually.) This is a useful video from EY that seeks to more clearly define ‘commerciality’. The second task will assess your work ethic, your striving instincts and seeks to provide Ernst and Young with a revealing insight into your character. This is where those values and competencies we spoke of earlier should come to the fore. You need to embody those traits in everything you do. Both assessments will be computer based, so take advantage of spell and grammar checks. Manage your time carefully. The classic mistake here is overrunning on report one and having too little time to fully address report two. You will be split into groups of four. Each group will be given an information pack. You will have 15 minutes to analyse the information and then a further 30 minutes to discuss it as group. This short video from EY focuses on their graduate group exercise. It’s worth a watch as it’s quite revealing in terms of the tone and the company culture. Your minimum goal should be to contribute constructively to the exercise. Your best result is to establish yourself as the de facto leader of the group. This can be very hard to do, but you must try. It’s a balancing act. Be confident and assertive, sure, but don’t be aggressive or overbearing. Strongly lead, but don’t bully. 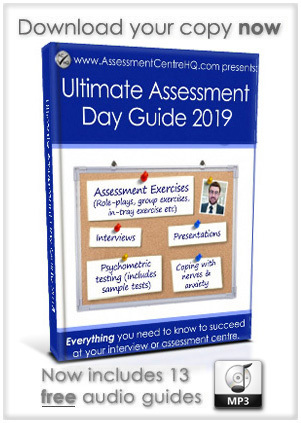 If you feel you need more help in this area, you should check out our Ultimate Assessment Day Guide, it includes many more tips and highlights the tricks and techniques used by elite candidates in group exercises. Lunch is the time when you get to take a breather and relax, right? Wrong. You will be assessed closely during this influential period. Be polite. It may seem obvious but smile and listen and look interested. Some candidates can be so ‘in the zone’ that they are too intense and self-centred. Courtesy is the order of the day. Be confident. This is easier to say than do, but you must project a capable and assured business persona. Ernst and Young is no place for shrinking violets. A great way to offset any nerves is to speak about your passion for the company and hunger for the role. Appear relaxed. One of the key indicators of future potential is ‘comfort around senior management’. It’s normal to feel a little on edge, over-awed even, around senior business figures, but don’t show this. It’s ok to feel it, inside, but your exterior shouldn’t show it. How can you appear relaxed? Speak slowly. Don’t respond to questions with a hair-trigger response. Seriously, speak slowly. Smile. Act like you have all the time in the world. This projects an easy and very relaxed confidence. Be positive at all times. No one on this Earth chooses to work with a moaner. Negativity is a completely forbidden character trait at the EY assessment centre. Don’t whinge about how hot it was on the tube, or the traffic on the way to the venue, or the weather, or anything – you are Mr/Mrs Positivity! Make sure you eat lots. Some candidates are so busy schmoozing and chatting that they don’t refuel sufficiently for the rest of the day. Trust us, you will need calories to fuel your energy levels during the rest of this demanding event. Eat heartily and drink plenty of water. Ok, now we’re getting into the real meat of the EY assessment centre. The gloves are off. Let’s do this! You will be given a detailed pack of information to analyse. You will have 20 minutes to check for any mistakes in the information pack. Once your 20 minutes are up, the fictional scenario will begin. You will need to talk to the staff member that prepared the information for you. This discussion will take place over the telephone, where you will have to give your analysis of their report and point out the mistakes that you found. After the telephone call, you will discuss your findings and the call with a manager. Be prepared to be cross-examined on your findings. Most people hate role-plays. But with the right approach they can be an enjoyable showcase for your skills. If you feel you need more help in this area you should check out our Role-Play Masterclass. It has dozens of essential tricks & tips and includes a proven framework that you can follow to deliver a world class role-play. You will have already taken and passed the online version of these tests but you will be asked to take the tests again to confirm your original results. This is a vital part of the EY assessment centre; if you perform poorly in these tests you will not be hired. It’s black and white. If you only take one thing away from this guide it should be this: You must practice the aptitude tests before the EY assessment centre. Remember you are being measured and timed against the other candidates, so literally every second counts. Nothing will boost your chances of success more than repeated practice. It improves both your competence and confidence; it’s genuinely transformative for your prospects. You can practice the Saville EY aptitude tests here. Ok, the end of your EY assessment centre is in sight. This is your big moment. The interview. There are two types of interviews that you may face but unfortunately you won’t know which one until it begins. You need to prepare for both. You may end up sitting a CV-based interview. This tends to be a very conversational and natural exchange. The second type of interview is harder to prepare for as it’s much broader in scope. This is a ‘business-based’ interview, which will feature open-ended questions about any current aspect of the business world. This will assess your overall commercial awareness. You will be quizzed about where you think Ernst and Young stand in regards to the issue, so this is where your preparation reaps rich rewards. This video from EY is useful. What is ‘commercial awareness’? How can you develop it? Regardless of the interview format you sit, it will last for around 1 hour. We have written extensively about interview technique elsewhere on this site. Check out the interview section for much more info. And you’re done. After the interview your EY assessment centre will finally be over. The assessors will tally up the scores and have a roundtable to discuss their observations. A decision will be made and the wheels of HR will begin to turn. We hope you enjoyed this free EY assessment centre guide and found it useful? 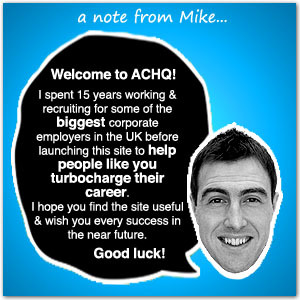 We wish you the best of luck in your future career and at your EY assessment centre.